The domestic luxury car segment is a key beneficiary of GST within the automobile space as prices are set to come down by up to ten per cent in most cases. 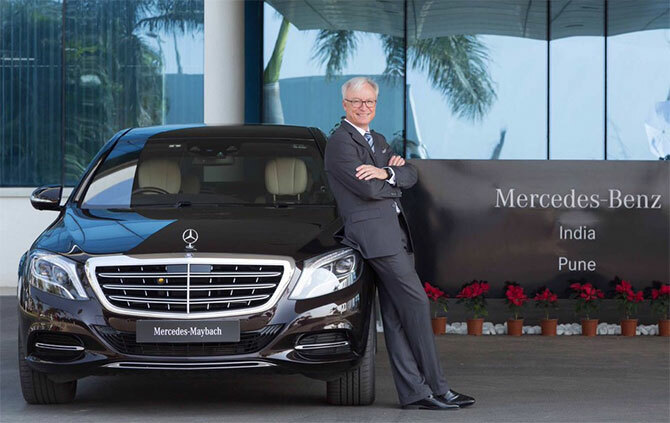 Roland Folger, MD & CEO, Mercedes Benz India, speaks to Shubham Parashar on the significance of these changes on the industry and other issues. The luxury car segment was flat last year. How does Mercedes plan to maintain its pole position? 2016 was a difficult year for Mercedes due to policy related implications that largely impacted sales. However, we remained the top player during the second year in a row and also managed to have the highest market share of approximately 40 per cent. The gap between Mercedes-Benz and its nearest competitors was at a peak of over 40 per cent. This year, our strategy is largely based on the pillars of product launches, innovative after-sales initiatives and getting closer to the market by network expansion. What rise in sales volume do you expect after GST? We never expected a surge from GST. In fact, somebody who buys a vehicle in June will be disappointed by the significant fall in price in July. So there are chances that there will be post buying. That said, GST do make buying luxury vehicles feasible but that will only result into ramp up in future. What could be the challenges post GST? The inflated tax and duty structure even after GST implementation will be a limiting factor in utilising the complete potential of the luxury car industry in India. GST proposes to tax electric vehicles at 12 per cent against minimum 28 per cent for any other car. How does the company plan to approach this segment? The government of India is focusing too much on electric vehicles. But it should not happen that in comparison to BSVI (post April 2020), emission due to electric vehicle is actually higher given the source of electricity that goes into charging vehicles. Another challenge is establishing charging stations. We need to have parking places where we can park hundreds of cars for an hour or two. Since the government is not in a position to make such investments, the cost on manufacturers will be a huge burden. Will we see hybrid vehicles in Mercedes’ portfolio even though GST proposes to tax it at same rate as luxury cars? We are preferring to start with BSVI as the benefits in the emission is significantly higher, almost 80 per cent. We will then plan to shift to hybrid depending on the government benefits for the segment.